The final result looks like custom trim, but it's painless and affordable to make by combining stock profiles. 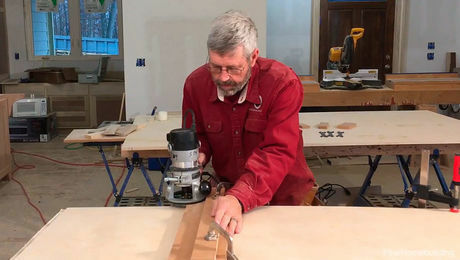 Synopsis: A professional trim carpenter explains how to install window and door casing step by step. 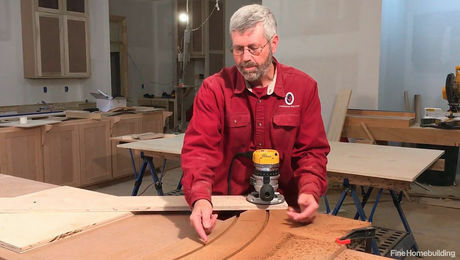 At the same time, he offers a half-dozen design ideas for changing the look of the trim by combining different moldings. When I’m asked for ideas to upgrade the interior of a house, the first thing I say is “Change the trim.” The dramatic difference that built-up trim makes easily justifies the extra cost. As a carpenter, installing an interesting three-piece casing is always more fun than working with boring old clamshell or colonial casing. Because it consists of multiple pieces, built-up trim is actually much more forgiving than single piece trim. One piece follows the window or door jamb, and a second follows the wall. Then a third piece joins the two, concealing any gaps. As my kids would say, sweet. A few companies offer architecturally correct built-up trim arrangements. But much the same effect can be achieved with a little imagination and some stock trim from a lumberyard or building supply store. To test trim combinations, make up small sections with all the details, as I’ve done in the top photo on the facing page. For built-up trim, I prefer a thicker stool with bullnose edges. To find the length of the stool, I assemble a short section of the built-up side casing. Then I set it in place near the bottom of the window, making sure to leave a 3/16-in. reveal on the inside of the window jamb. I make a light pencil mark on the wall along the outside edge of the trim section, then I repeat the process on the other side. I make the marks low enough to use as a reference later when installing the apron. Next, I measure the distance between the pencil lines and add 3 in. 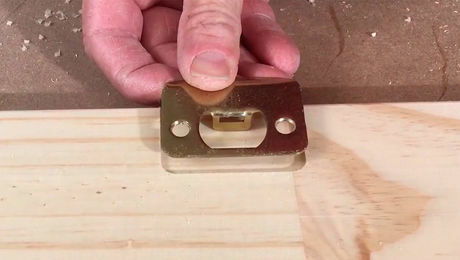 The extra length allows the ends or “ears” of the stool to extend 1-1/2 in. past the edge of the trim, rather than the 3/4 in. 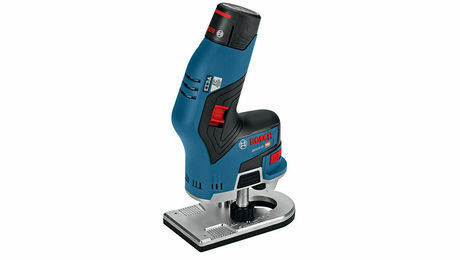 typically used with conventional molding. The extra length also accommodates the decorative trim that will be applied to the apron. I make sure the finished stool is deep enough for the built-up trim to land without overhanging. Ideally, the stool should extend 3/4 in. to 1 in. beyond the outermost edge of the trim. 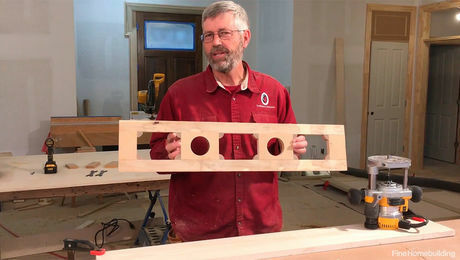 To maintain the profile of the stool on all three faces, I cut 45° miters on the ends and install small return pieces that fit between the miters and the wall. I glue and nail the return pieces to the stool before nailing the stool into place. For more photos and details on built-up molding, click the View PDF button below.